Aydin K, Karabulut N, Demirkazık F, Arat A. Pulmonary involvement in adult Gaucher’s disease: high resolution CT appearance. Br J Radiol 1997; 70: 93-95. Saatci I, Yelgec S, Aydin K, Akalan N. An atretic parietal cephalocele associated with multiple intracranial and eye anomalies. Neuroradiology 1998; 40: 812-815. Erdogan S, Ozer A, Ercan M, Aydin K, Hıncal A. Biodistribution and computed tomography studies on iopromide liposomes. S.T.P. Pharma Sciences 1998; 2: 133-137. Aydin K, Maya M, Lo WWM, Brackmann DE, Kesser B. Jacobson’s Nerve Schwannoma Presenting as Middle Ear Mass. AJNR Am J Neuroradiol 2000; 21: 1331-1333. Aydin K, Sencer S, Minareci O. Thoracocervical dorsal dermal sinus associated with multiple vertebral body anomalies. Neuroradiology 2001; 43: 1084-1086. Aydin K, Sencer S, Demir T, Ogel K, Tunaci A, Minareci O. Cranial MR Findings in Chronic Toluene Abuse by Inhalation. AJNR Am J Neuroradiol 2002; 23: 1173-1179. Aydin K, Ulug T, Simsek T. Bilateral Vocal Cord Paralysis Caused by Cervical Spinal Osteophytes. Br J Radiol 2002; 75: 990-993. Yucel EA, Orhan SK, Guldiken Y, Aydin K, Simsek T, Erdamar B, Deger K. Evaluation of factors concerning the patency of the internal jugular vein after functional neck dissection. Eur J Oto-Rhino-Laryngol 2003; 260: 35-38. Aydin K, Sencer S, Barman A, Minareci O, Hepgul TK, Sencer A. Spinal Cord Herniation into Mediastinal Neurenteric Cyst: CT and MR Imaging Findings. Br J Radiol 2003; 76. Sencer S, Sencer A, Aydin K, Poyanli A, Hepgül K, Minareci O. Imaging in tuberculosis of the skull and skull base: case report. Neuroradiology 2003; 45: 160-163. Aydin K, Güven K, Sencer S, Cikim A, Gul N, Minareci O. A new MRI method for the quantitative evaluation of extraocular muscle size in thyroid-associated ophthalmopathy. Neuroradiology 2003; 45: 184-187. Aydin K, Bassuk AG, Joshi A, Burton BK, Larsen MB, Burrowes DM, Stack C. Alexander disease with serial MRS and a new mutation in the glial fibrillary acidic protein gene. Neurology, December 2003. Aydin K, Ogel K, Sencer S, Genchellac H, Demir T, Minareci O. Single-Voxel Proton MR Spectroscopy in Toluene Abuse. Magn Reson Imaging 2003; 21: 777-785. Aydin K, Caglar M, Tatli B, Sencer S. Single-Voxel MR Spectroscopy and Diffusion weighted MR Imaging in two patients with L-2-Hydroxyglutaric aciduria. Pediatr Radiol 2003; 33: 872-876. Aydin K, Güven K, Sencer S, Jinkins R, Minareci O. Gadolinium-enhanced MR cysternography: Its role, advantages and limitations in the evaluation of rhinorrhea. Neuroradiology 2004; 46: 75-80. Sogut A, Acun C, Aydin K, Tomsac N, Demirel F, Aktuglu C. Cranial CT and MR imaging findings of a case of isovaleric acidemia. Pediatr Radiol 2004; 34: 160-162. Tulug T, Basaran B, Minareci O, Aydin K. An unusual complication of stapes surgery: Profuse bleeding from the anteriorly sigmoid sinus. Eur J Oto-Rhino-Laryngol 2004; 261: 397-399. Aydin K, Terzibasıoglu E, Sencer S, Sencer A, Minareci O. Angiography-induced closure of perimedullary spinal arteriovenous fistula: case report. Br J Radiol 2004; 77: 969-973. Aydin K, Ciftci K, Terzibasioglu E, Ozkan M, Demirtas A, Sencer S, Minareci O. Quantitative Proton MR Spectroscopy Findings of Cortical Reorganization in the Auditory Cortex of Musicians. AJNR Am J Neuroradiol 2005; 26: 128-136. Aydin K, Donmez F, Tuzun U, Minareci O, Atamer T. Diffusion MR findings of Cyclosporin A induced encephalopathy. Neuroradiology 2004; 46: 822-824. Bilge I, Sadıkoğlu S, Emre S, Aydin K, Tatlı B. Central nervous system vasculitis secondary parvovirus B-19 infection in a pediatric renal transplant patient. Pediatr Nephrol 2005; 20: 529-533. Aydin K, Bakir B, Tatli B, Ozmen M, Terzibasioglu E. Proton MR spectroscopy findings in three cases with Tay-Sachs disease. Pediatr Radiol 2005; 35: 1081-1085. Özyuvacı H, Aktaş I, Yerit K, Aydin K, Onder A. Radiological evaluation of sinus lift operation: what the general radiologist needs to know. Dentomaxillofac Radiol 2005; 34: 199-204. Aydinlı N, Tatlı B, Caliskan M, Ozmen M, Citak A, Unuvar A, Baykal K, Omeroglu RE, Aydin K, Sencer S, Sencer A, Kırış T. Stroke in Childhood: experience in Istanbul, Turkey. J Tropical Pediatrics 2006; 52: 158-162. Aydin K, Tatli B, Ciftci K, Ozkan M, Sani S, Unal Z, Ozmen M, Caliskan M, Aydinli N, Guven S. Quantification of neurometabolites in subacute sclerosing panencephalitis by 1H-MRS. Neurology 2006; 67: 911-913. Olgar S, Ertugrul T, Nisli K, Aydin K, Caliskan M. Influenza A-Associated Acute Necrotizing Encephalopathy. Neuropediatrics 2006; 37: 166-168. Soysal DD, Caliskan M, Aydin K, Nayir N, Karaböcüoğlu M, Çitak A, Uzel N. Isolated cerebellar involvement in a case of posterior reversible encephalopathy. Clin Radiol 2006; 61: 983-986. Aydin K, Anlar B. Correspondence: Quantification of neurometabolites in subacute sclerosing panencephalitis by 1H-MRS. Neurology 2007; 68: 1438. Aydin K, Ucar A, Oguz K, Okur O, Agayev A, Unal Z, Ozturk C. Increased gray matter density in the parietal cortex of mathematicians: A voxel-based morphometry study. AJNR Am J Neuroradiol 2007; 28: 1859-1864. Aydin K, Ucok A, Cakir S. Quantitative proton MR spectroscopy findings in corpus callosum of patients with schizophrenia: suggests callosal disconnection. AJNR Am J Neuroradiol 2007; 28: 1968-1974. Aydin K, Terzibasioglu E, Sencer S, Sencer A, Suoglu Y, Karasu A; Kiris T, Turantan MI. Localization of cerebrospinal fluids leaks by Gadolinium-enhanced MR cisternography: a five year single-center experience. Neurosurgery 2008; 62: 584-589. Bakir B, Aydin K, Talu G, Ozyalcin S. Cranial Magnetic Resonance Imaging in spontaneous intracranial hypotenstion after epidural blood patch. Pain Pract 2008; 8: 206-209. Demirkol D, Citak A, Aydin K, Karabocuoglu M, Ucsel R, Uzel N. Central venous thrombosis in childhood. Eur J Emerg Med 2008; 15: 120-122. Poyanli A, Salmaslioğlu A, Terzibasioglu E, Toker A, Tanju S, Aydin K. An unusual pure cystic posterior mediastinal mass: a textiloma. Clin Radiol 2008; 63: 836-838. Aydin K, Ucok A, Guler J. Altered metabolic integriry of corpus callosum among individuals at ultra-high risk of schizophrenia and first-episode patients. Biol Psychiatry 2008; 64: 750-757. Guven K, Rozanes I, Aydin K, Bilge O. Endovascular treatment of a bleeding portal vein pseudoaneursym ans stenosis secondary to lymphoma infiltration of the liver hilum. Eur J Radiol Extra 2009; 70: 45-48. Aydin K, Okur O, Tatli B, Serwar S, Ozturk C, Dilber C. Reduced gray matter volume in the frontotemporal cortex of the patients with early subacute sclerosing panencephalitis. AJNR Am J Neuroradiol 2009; 30: 271-275. Aydin K, Tatli B. Reply: scoring clinical functions in subacute sclerosing in panencephalitis . AJNR Am J Neuroradiol 2009; 30: e100. Aydin K, Kinaci B, Sarwar S, Okur O, Balaban E. Smaller gray matter volumes in frontal and parietal cortices of solvent abusers correlate with cognitive deficits. AJNR Am J Neuroradiol 2009; 30: 1922-1928. Aydin K, Baykan S, Aghakishi Y. Giant intracavernous carotid aneurysm with intraorbital extension: an unusual cause of unilateral proptosis. Acta Neurochir 2011; 153: 1149-1450. Ekici B, Aydin K, Cantez S, Ergul Y, Tatli B. Etanercept-induced encephalopathy in a 7-year-old child. Pediatr Neurol 2011; 45: 271-273. Tatli B, Ekici B, Aydin K. MRS findings in electrical status epilepticus in sleep: Report of two cases. Surg Neurol Int 2011; 2: 206. Aydin K, Uysal S, Yakut A, Emiroglu B, Yilmaz F. N-acetylaspartate concentration in corpus callosum is positively correlated with intelligence in adolescents. Neuroimage 2012; 59: 1058-1064. Tatlı B, Ekici B, Sencer A, Sencer S, Aydin K, Aydınlı N, Calışkan M, Ozmen M, Kırış T. Clinical features, prothrombotic risk factors, and long-term follow-up of eight pediatric moyamoya patients. J Clin Neurol 2012; 8: 100-3. Ekici B, Aydınlı N, Aydın K, Çalışkan M, Eraslan E, Özmen M. Epilepsy in children with periventricular leukomalacia. Clin Neurol Neurosurg 2013;115:2046-2048. Akinci IO Sencer A, Basel A, Aras Y, Aydoseli, A, Kamar C, Güeresti E, Sencer S, Aydın K, Izgi N, Kiris T. Effect of lumbar puncture in patients with aneurysmal subarachnoid hemorrhage treated microsurgically or endovascularly. Acta Neurochir Suppl 2013;115:95-98. Aksu Uzunhan T, Çalışkan M, Karaman S, Aydın K, Devecioğlu Ö. A rare cause of acute cerebellar ataxia: familial hemophagocytic lymphohistiocytos. Pediatr Neurol 2014;51:465-466. Uzunhan TA, Sayınbatur B, Calışkan M, Sahin A, Aydın K. A clue in the diagnosis of Cri-du-chat syndrome: Pontine hypoplasia. Ann Indian Acad Neurol 2014;17:209-210. Tükel R, Aydın K, Ertekin E, Özyıldırım SŞ, Taravari V. Proton magnetic resonance spectroscopy in obsessive-compulsive disorder: evidence for reduced neuronal integrity in the anterior cingulate. Psychiatry Res 2014;30:275-280. Akmangit I, Aydin K, Sencer S, Topcuoglu OM, Topcuoglu ED, Daglioglu E, Barburoglu M, Arat A. Dual stenting using low-profile LEO baby stents for the endovascular management of challenging intracranial aneurysms. Am J Neuroradiol 2014;36:323-329. Aydin K, Arat A, Sencer S, Hakyemez B, Barburoglu M, Sencer A, Izgi N. Treatment of ruptured blood blister like aneurysms with flow diverter SILK stents. J Neurointerv Surg, 2015;7:201-209. Arat YO, Arat A, Aydin K. Angiographic Morphometry of Internal Carotid Artery Circulation in Turkish Children. Turkish Neurosurg 2015;25: 608-616. Özkan Arat Y, Arat A, Aydin K. Cerebrovascular complications of transorbital penetrating intracranial injuries. Ulus Tarvma Acil Cerrahi Derg 2015;21;271-278. Aydin K, Arat A, Sencer S, Barburoglu M, Men S. Stent-Assisted Coiling of Wide-Neck Intracranial Aneurysms Using Low-Profile LEO Baby Stents: Initial and Midterm Results. Am j Neuroradiol 2015;36:1934-1941. Tükel R, Aydın K, Ertekin E, Özyıldırım SŞ, Barburoğlu M. 1H-magnetic resonance spectroscopy in obsessive-compulsive disorder: effects of 12 weeks of sertraline treatment on brain metabolites. Eur Arch Psychiatry Clin neurosci 2015;265:219-226. Tükel R, Aydın K, Yüksel Ç, Ertekin E, Koyuncu A, Taş C. Gray matter abnormalities in patients with social anxiety disorder: A voxel-based morphometry study. Psychiatry Res 2015;234.106-112. Tükel R, Aydin K, Yüksel Ç, Ertekin E, Koyuncu A. Proton Magnetic Resonance Spectrocopy in Scoical Axnxiety Disorder. J Neuropsychiatry Clin Neurosci 2016; 28:138-142. Barburoglu M, Aydin K. Rescue retrieval of a fully deployed low-profile intracranial stent after acute occlusion. World Neurosurg 2016;85:349-352. Tuncer S, Sencer S, Kebudi R, Tanyıldız B, Cebeci Z, Aydın K. Superselective intra-arterial chemotherapy in the primary management of advanced intra-ocular retinoblastoma: first 4-year experience from a single institution in Turkey. Acta Ophthalmol 2016;94:e644-e651. Aydin K, Sencer S, Barburoglu M, Mynzhylky Berdikhojayev, Aras Y, Senvcer A, Izgi N. Mid-term results of T stent-assisted coiling of wide-necked and complex intracranial bifurcation aneurysms using low-profile stents. J Neurosurg, 2017, Basımda. Aydin, K. Brain tumors. In: A. Tunacı, N Tenekeci, B. Şakar, eds. Imaging in Oncology, İstanbul, Nobel press; 2003: 356-411. Minareci Ö, Sencer S, Aydin K, Tolun R. Neuroradiology. In Öge E, Baykan B, Bahar SZ, eds. Neurology Textbook, İstanbul, Nobel press; 2010: 153-168. Aydin K, Maya M, Lo WMW. Jacobson’s nevre schwannoma presenting as middle ear mass. European Society of Head and Neck Radiology 12th annual meeting, Bruggue, Vol. 82, 195, 1999. Aydin K. Çocukluk çağında strok: Nöroradyoloji. 7th Mediterrnean Child Neurology and 3rd Child Neurology Joint Congress and 5th Child Neurology Meeting, Istanbul, Vol. 1, 66-79, 2001. Soysal D, Tatlı B, Aydin K, Karaböcüoğlu M, Uzel N. Central venous system thrombosis and treatment: case report. 4th World Congress of Pediatric intensive care, Boston, Vol.42, 65, 2003. Akin A, Emir U, Sayli O, Aydin K, Demiralp T, Ademoglu A, Ozturk C. Effect Of Repetitive Breath Holding On Bold And FNIRS Signal. Biomedical Engineering Society Annual Fall Meeting, Philedelphia, Vol.1, 38, 2004. Akin A, Emir U, Ademoğlu A, Öztürk C, Aydin K, Demiralp T, Kurt K. Design of an MR compatible fNIRS instrument. Photonic West-The international society for optical engineering meeting, San Jose, Vol.1, 30, 2005. Sencer S, Kiris T, Yaka U, Sahinbas M, Aydin K, Karasu A, Sencer A, Agus O, Ozkan M, Imer M, Unal F. Diffusion and Perfusion MRI findings in patients with subarachnoid hemorrhage related vasospasm. 9th International congress of cerebral vasospasm, Istanbul, Vol.1, 60, 2006. Agus O, Ozkan M, Aydin K. Elimination of RF Inhomogeneity Effects in Segmentation. 29th IEEE EMBS Annual International conference, Lyon, 2007. Ucok A, Aydin K, Cakir S, Ciftci K. Single Voxel Proton MR spectroscopy in corpus callosum of patients with schizophrenia: suggests callosal disconnection. International Congress on Schizophrenia Research, Colorado, Vol 1, 358, 2007. Okur O, Ozturk C, Aydin K. How Should Be Images Registered in VBM? Organization for Human Brain Mapping 15th Annual Meeting, San Francisco, 2009. 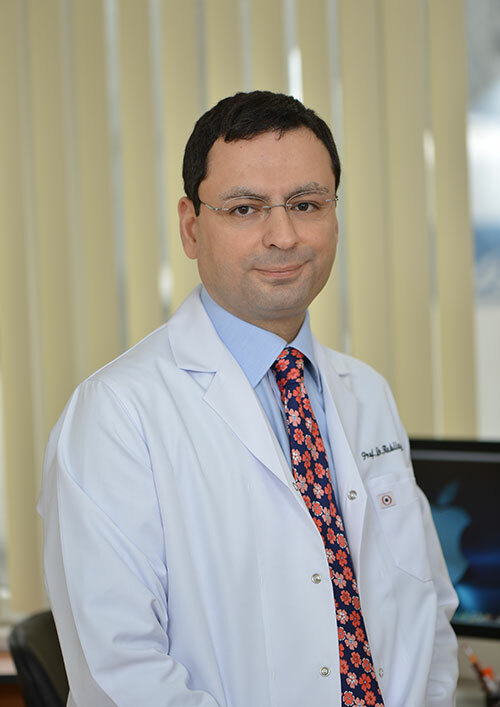 Sencer S, Minareci Ö, Aydin K, Poyanlı A. Pediatrik vasküler malformasyonlarda endovasküler tedavi. Türk Nöroşuriji Derneği 15. Bilimsel Kongresi, Antalya, Cilt I, 286, 2001. Sencer S, Minareci Ö, Aydin K, Türkmen C, Poyanlı A. Bel ağrılarında diskografinin yeri: klinik bulgular ve manyetik rezonans görüntüleme bulguları ile karşılaştırma. Türk Nöroşuriji Derneği 15. Bilimsel Kongresi, Antalya, Cilt I, 69, 2001. Aydinlı N, Aydin K, Çalışkan M, Özmen M. Hallervorden-Spatz sendromlu iki olgu sunumu ve kranyal manyetik rezonans görüntüleme bulguları. 23. Pediatri günleri ve 3. Ulusal Hemşirelik günleri, Istanbul, Cilt I, 342, 2001. Sencer S, Minareci Ö, Aydin K, Poyanlı A. Baş-Boyun bölgesinin vasküler lezyonlarında görüntüleme, anjiografi ve embolizasyon. 22. Türk Radyoloji Kongresi, Antalya, Cilt I, 33, 2001. Sadjadi P, Sencer S, Aydin K, Gençhellaç H, Mousavi H, Sencer A. Kalvaryal ve kafa tabanı tüberkülozunda görüntüleme bulguları: olgu sunumu. 22. Türk Radyoloji Kongresi, Antalya, Cilt I, 71, 2001. Gençhellaç H, Aydin K, Sencer S, Şimşek T, Minareci Ö. Spinal kordun mediastinal nörenterik kist içine herniasyonu. 22. Türk Radyoloji Kongresi, Antalya, Cilt I, 96, 2001. Sadjadi P, Mousavi H, Gençhellaç H, Aydin K. Spinal disrafizmin MRG ile değerlendirilmesi CISS sekansı. 22. Türk Radyoloji Kongresi, Antalya, Cilt I, 97, 2001. Engin G, Barman,A, Sencer S, Aydin K, Minareci Ö. Primer lenfomanın değişik organ sistemlerindeki görüntüleme bulguları. 22. Türk Radyoloji Kongresi, Antalya, Cilt I, 259, 2001. Mousavi H, Sadjadi P, Gençhellaç H, Aydin K. L2-hidroksiglurarik asidürinin kranyal MRG bulguları. 22. Türk Radyoloji Kongresi, Antalya, Cilt I, 95, 2001. Terzibaşıoğlu E, Aydin K, Güven K, Sencer S. Metil alkol intoksikasyonunun kranyal MRG bulguları. 23. Türk Radyoloji Kongresi, Antalya, Cilt I, 120, 2002. Terzibaşıoğlu E, Radjazi S, Güven K, Aydin K, Sencer S. Fahr hastalığının kranyal BT ve MRG bulguları. 23. Türk Radyoloji Kongresi, Antalya, Cilt I, 97, 2002. Aydin K, Güven K, Sencer S, Demir T, Oğel K, Tunacı A, Minareci Ö. Tolüenin inhalasyon yoluyla suistimalinin kranyal MRG bulguları. 23. Türk Radyoloji Kongresi, Antalya, Cilt I, 29, 2002. Tuncer Ö, Krepsi Y, Çoban, O, Tuncay R, Bahar S, Aydin K, Sencer S, Minareci Ö. Karotis sistemi akut iskemik inmelerinde intraarteryal tromboliz: Edip Aktin inme ünitesi deneyimi. 39. Ulusal Nöroloji Kongresi, Antalya, Cilt I, 208, 2003. Aksay B, Çoban O, Tuncay R, Bahar S, Krepsi Y, Aydin K, Sencer S, Minareci Ö. Vertebrobaziler sistem intrakranyal aterosklerotik darlıklarında stent: Edip Aktin inme ünitesi deneyimi. 39. Ulusal Nöroloji Kongresi, Antalya, Cilt I, 209, 2003. Aksay B, Çoban O, Tuncay R, Bahar S, Krepsi Y, Aydin K, Sencer S, Minareci Ö. Karotis interna arterosklerotik darlıklarında stent: Edip Aktin inme ünitesi deneyimi. 39. Ulusal Nöroloji Kongresi, Antalya, Cilt I, 209, 2003. Aydin K, Jinkins R, Sencer S, Terzibaşıoğlu E, Güven K, Sencer A, Minareci Ö. Gadolinyumlu MR sisternografi. 24. Ulusal Radyoloji Kongresi, Ankara, Cilt I, 208, 2003. Aydin K. In vivo kantitatif proton MR spektroskopi: Metodoloji. 24. Ulusal Radyoloji Kongresi, Ankara, Cilt I, 208, 2003. Bakır B, Aydin K, Terzibaşıoğlu E, Tatlı B. Tay-Sachs hastalığında proton MR spektroskopi bulguları : olgu bildirisi. 24. Ulusal Radyolojii Kongresi, Ankara, Cilt I, 211, 2003. Bakır B, Aydin K, Tatlı B, Sencer S, Minareci Ö. Alexander hastalığının proton MR spektroskopi bulguları. 24. Ulusal Radyoloji Kongresi, Ankara, Cilt I, 211, 2003. Aydin K, Bakır B, Terzibaşıoğlu E, Sencer S, Minareci Ö. L2-hidroksiglutarik asidürinin single-voksel proton MR spektroskopi bulguları. 24. Ulusal Radyoloji Kongresi, Ankara, Cilt I, 212, 2003. Aydin K. Tolüen ensefalopatisinin proton MR spektroskopi bulguları: patofizyolojiyi açıklamaya yönelik ipuçları. 24. Ulusal Radyoloji Kongresi, Ankara, Cilt I, 213, 2003. Terzibaşıoğlu E, Bakır B, Aydin K. Creutzfeld-Jakop hastalığında difüzyon MRG bulguları: olgu bildirisi. 24. Ulusal Radyoloji Kongresi, Ankara, Cilt I, 214, 2003. Terzibaşıoğlu E, Aydin K, Tatlı B, Akkoyunlu M. Metil malonik asideminin difüzyon MRG ve MR spektroskopi bulguları. 24. Ulusal Radyoloji Kongresi, Ankara, Cilt I, 214, Ankara, 2003. Terzibaşıoğlu E, Aydin K, Movasseghi S, Akkoyunlu M. Hipertansif ensefalopatide MRG bulguları: olgu bildirisi. 24. Ulusal Radyoloji Kongresi, Ankara, Cilt I, 211, 2003. Aydin K, Çiftçi K, Terzibaşıoğlu E, Özkan M, Demirtaş A, Sencer S, Minareci Ö. Müziğin insan beynindeki ayakizleri: Müzisyenlerin işitme kortekslerindeki kortikal reorganizasyonun kantitatif MR spektroskopi bulguları. 40.Ulusal Nöroloji Kongresi, Antalya, Cilt I, 216, 2004. Aydin K, Üçok A, Çakır S. Şizofreni olgularında kallosal diskoneksiyon bulguları: Nicel Manyetik rezonans spektroskopi görüntüleme çalışması. 28. Ulusal Radyoloji Kongresi, Antalya, Cilt 13, 49, Antalya, 2007. Aydin K, Uçar A, Oğuz KK, Okur O, Agayev A, Ünal Z, Yılmaz S, Öztürk C, Üçok, A. Çakır, S. Matematikçilerin parietal kortekslerinde kullanıma-bağlı gri madde dansite artışı: Voksel tabanlı MRG morfometri çalışması. 28. Ulusal Radyoloji Kongresi, Antalya, Cilt 13, 95, 2007. Salmaslıoğlu A, Aydın K, Poyanlı A, Bakır B, Acunaş G, Acunaş B. 3 boyunlu yazıların radyolojide kullanımı: Teknik ve uygulama örnekleri, 37. Ulusal Radyoloji Kongresi, 2016. Aydin K. Temporal kemiğin CT ve MR anatomisi. 1. Cochlear Implantation ve nöro-otoloji sempozyumu, Istanbul, 2001. Aydin K. Temporal kemik travması ve gelişimsel anomalilerinde görüntüleme. 1. Cochlear Implantation ve nöro-otoloji sempozyumu, Istanbul, 2001. Aydin K. Orbita tümörlerinde radyolojik bulgular. Türk Nöroşiruji Derneği Istanbul Grubu Istanbul Toplantıları, Istanbul, 2003. Aydin K. İskemik inmede radyolojik penumbra. 40. Ulusal Nöroloji kongresi, Antalya, 2004. Aydin K. Konjenital Dış, orta ve iç kulak malformasyonlarında radyolojik bulgular. 3. Ulusal Odyoloji ve Konuşma bozukluğu Kongresi, Istanbul, 2004. Aydin K. Activity-dependent cortical adaptation: from morphology to biochemical imaging. 5. Ulusal Sinirbilim Kongresi, Zonguldak, 2005. Aydin K. Ağrılı disfonksiyonel fasial nevraljiler, Türk Nöroşiruji Derneği Istanbul Grubu, Istanbul Toplantıları, Istanbul, 2005. Aydin K. KBB’de görüntüleme. 4. Akademi Toplantısı, Ankara, 2006. Aydin K. İnsan beyninde adaptasyon. Istanbul Teknik Üniversitesi Matematik Bölümü Seminerleri, 2006. Aydin K. Ağrı görüntülenebilir mi? 9. Ulusal Ağrı Kongresi, Istanbul, 2007. Aydin K. Müzik ve Matematiğin insan beynindeki ayak izleri. 28. Ulusal Radyoloji Kongresi, Antalya, 2007. Aydin K. Proton MR spektroskopi ve perfüzyon MR görüntüleme. 6. Çocuk Nörolojisi Günleri, Istanbul, 2007. Aydin K. Strok ve beyin tümörlerinde ileri MR teknikleri. Türk Radyoloji Derneği, Istanbul Toplantıları, Istanbul, 2008. Aydin K. Epilepside Görüntüleme. 4. Uludağ Nöroradyoloji Günleri, Bursa, 2008. Aydin K. Kullanıma bağlı nöroplastisite. Sinirbilimlerinde translasyonel araştırma çalıştayı, İzmir, 2008. Aydin K. Şizofreni patofizyolojisinde kallosal diskoneksiyon. Sinirbilimlerinde translasyonel araştırma çalıştayı, İzmir, 2008. Aydin K. Düşük dereceli glial tümörlerde görüntüleme. 3.Temel Nöroşirüji Öğretim ve Eğitim Kursu, Kuşadası, 2009. Aydin K. Yüksek dereceli glial tümörlerde görüntüleme 3. Temel Nöroşirüji Öğretim ve Eğitim Kursu, Kuşadası, 2009. Aydin K. Mezenkimal ve menengial tümörerler, hemanjioperisitom: Radyoloji. 3.Temel Nöroşirüji Öğretim ve Eğitim Kursu, Kuşadası, 2009. Aydin K. Metastatik tümörlerde görüntüleme. 3.Temel Nöroşirüji Öğretim ve Eğitim Kursu, Kuşadası, 2009. Aydin K. Sellar ve parasellar bölge tümörleri. 3.Temel Nöroşirüji Öğretim ve Eğitim Kursu, Kuşadası, 2009. Aydin K. Embriyonel tümörler: Radyoloji. 3.Temel Nöroşirüji Öğretim ve Eğitim Kursu, Kuşadası, 2009. Aydin K. Posterior fossa Tümörleri. 3.Temel Nöroşirüji Öğretim ve Eğitim Kursu, Kuşadası, 2009. Aydin K. Lateral ve 3. Ventrikül radyolojik anatomisi ve patolojik radyoloji. 3.Temel Nöroşirüji Öğretim ve Eğitim Kursu, Kuşadası, 2009. Aydin K. Pineal bölge: pineal bölge: Radyolojik anatomi ve patolojik radyoloji. 3.Temel Nöroşirüji Öğretim ve Eğitim Kursu, Kuşadası, 2009. Aydin K. Beyin sapı: radyolojik anatomi ve patolojik radyoloji. 3.Temel Nöroşirüji Öğretim ve Eğitim Kursu, Kuşadası, 2009. Aydin K. Pontoserebellar ve petroklival bölge: Radyolojik anatomi ve patolojik radyoloji. 3.Temel Nöroşirüji Öğretim ve Eğitim Kursu, Kuşadası, 2009. Aydin K. Gliomatozis serebri. Multidisipliner Nöroonkoloji Sempozyumu, Istanbul, 2009. Aydin K. Karotid arter stenozlarının endovasküler tedavisinde malzeme seçimi. 6. Ulusal Girişimsel Radyoloji Toplantısı, Antalya, 2011. Aydin K. Benigh intracranial hypertension. 17. Ulusal Manyetik Rezonans Derneği Toplantısı, Ankara, 2012. Aydin K. Spinal Multiple sclerosis. 17. Ulusal Manyetik Rezonans Derneği Toplantısı, Ankara, 2012. Aydin K. İntrakranial stenozların endovasküler tedavisi. 7. Ulusal Girişimsel Radyoloji Toplantısı, İzmir, 2012. Aydin K. Glial beyin tümörlerinin ileri MR görüntülemesi. Türk Radyoloji Derneği Nöroradyoloji Sempozyumu, İstanbul, 2012. Aydin K. İntrakranial ateroskleroz: endovasküler tedavi. Türk Radyoloji Derneği Nöroradyoloji Sempozyumu, İstanbul, 2012. Aydin K. Akmadde hastalıklarında ileri MR görüntüleme. 32. Türk Radyoloji Kongresi, Antalya, 2013.